Canopy Growth is committed to being a responsible member of our community and industry wherever we operate. We pride ourselves on investing in and being the leader in creating solutions to cannabis-related issues. Now that we’re on the verge of legal access to regulated, recreational cannabis, we’re stepping up to do our part to ensure education and responsible use are at the forefront of the cannabis conversation. When selecting a CSR partner, we prioritize those individuals and organizations who have a proven track record of effecting change. Road safety is a leading concern that needs to be addressed as cannabis legalization comes into effect. Education is key to help prevent an increase in the incidence of impaired driving. Canopy Growth facilitated and funded a three-way partnership with Canadian Drug Policy Coalition ( CDPC ) and Mothers Against Drunk Driving ( MADD ). CDPC conducted an extensive research review and education strategy as the basis of a MADD Canada campaign. We’re proud to have brought together the Canadian leaders in responsible driving campaigns with leaders in the development of responsible drug policy for this important initiative. The papers are available here, and some of the TV segments here. When cannabis is legalized for adult consumption, it is important that there is not a corresponding increase in youth usage rates. Canopy Growth has brought together Parent Action on Drugs ( PAD ) with Canadian Students for Sensible Drug Policy ( CSSDP ) to create evidence based resources for parents and other adults to have informed conversations with youth to make healthy, responsible decisions about cannabis use. CSSDP will be conducting a rigorous review of the current research on youth and cannabis and creating an education strategy which will be available to the public and used as the basis of the education tools PAD will develop. Combining PAD’s 30 years experience in youth drug education with CSSDP’s youth driven expertise will result in tools that will resonate with a younger audience. The Canadian AIDS Society has been diligently working on issues related to medical cannabis access since 2004. We are thrilled to be part of a multi-year partnership to fund the development of Canadian guidelines on the use of medical cannabis. These are the kinds of tools physicians need to feel more comfortable with authorizing access to cannabis and advising their patients on minimizing risk and maximizing benefit. The guidelines will include up-to-date information on the state of evidence and research for clinical and disease management questions along with recommended strategies for optimal wellness and quality of life for key stakeholders such as patients, physicians, researchers, policy makers and community based service providers. The guidelines will look beyond the scope of disease and symptom management. Wellness issues such as sexuality, harm reduction and opiate substitution will also be included. Canopy Growth is the first publicly traded company to ever headquarter in Smiths Falls, ON, a town of 9,000 people. Immediately upon our arrival, we began investing in the community in order to make it a better place to work and live. Whether it’s the Day of Caring initiative, our ongoing community event sponsorship, our Local First hiring and vendor mentality, we continuously show our thanks to the place we call home. As we expand across the country and the world, these core community values will come with us wherever we go. Canopy Growth is working with Niagara College to create a new experience-based learning opportunity producing cannabis. Internship and co-op opportunities are available for students in the College’s Commercial Cannabis Production, Horticultural Technician, Greenhouse Technician and Business programs, particularly at the Tweed Farms facility in Niagara-on-the-Lake, with additional placement opportunities available at Canopy Growth’s 12 other facilities across the country. Students are trained in the cultivation and practices of cannabis production and are also taught the knowledge and skills to navigate the complex regulatory framework that governs the industry in Canada. Canopy Growth is providing $2.5 million of funding to the University of British Columbia to investigate and research the use of cannabis in treating opioid addiction. Last year, an estimated 4,000 Canadians died of opioid overdoses; more than 1,400 were British Columbians. In response, the province declared a public health emergency in 2017. The funds, provided over a two-year period, will establish the Canopy Growth Professorship in Cannabis Science and create an enduring legacy of research through the Canopy Growth Cannabis Science Endowment Fund, while looking at the potential utility of cannabis in addressing the overdose crisis. Canopy Growth was one of the first Canadian cannabis companies to offer Mainpro-M1 accredited continuing medical education programs to Canadian doctors across the country. Mainpro-M1 is offered by the College of Family Physicians of Canada and educates Canadian doctors about medical marijuana and its various benefits while providing up-to-date information on how to properly prescribe medicinal cannabis. 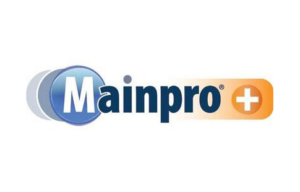 Canadian doctors earn Mainpro-1 credits when they participate in a variety of structured learning programs.